This model is 173 cm and wears a size S/P. Their chest measures 81 cm and the waist 58 cm. A fresh take on a sporty classic. 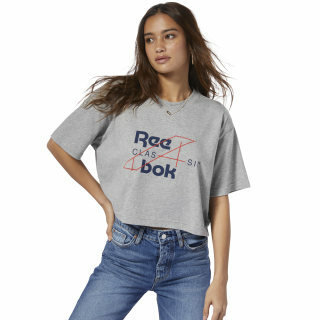 This women's cropped t-shirt features a deconstructed Reebok logo graphic on the front. An embroidered logo adorns the back. 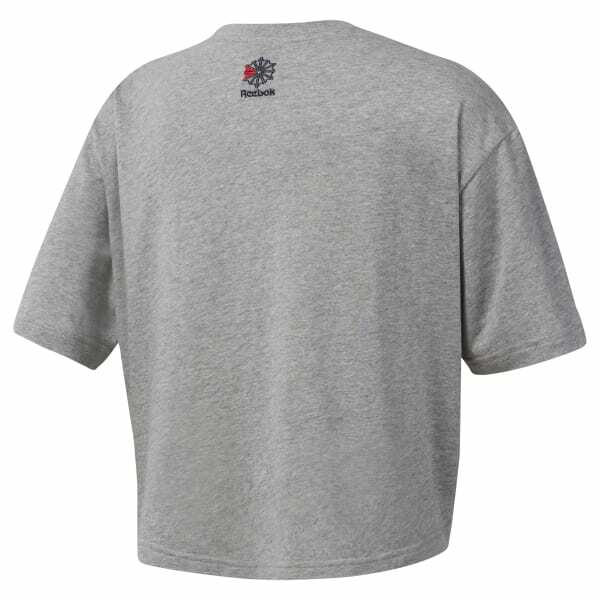 It's made of an all-cotton jersey fabric for a soft, comfy feel.